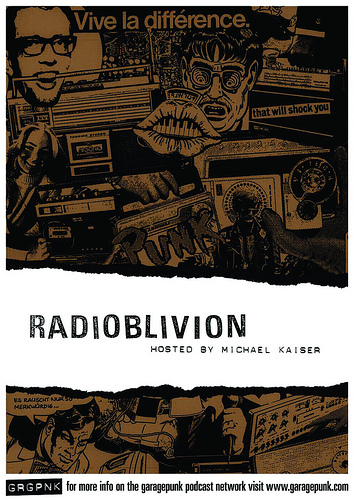 Yes, friends - Its the fourth annual No Halloween Show on RadiOblivion eppy-sode 61 with Michael Kaiser. Once again we bow-out and let the experts deliver the ghoulish goods while we spin Wild Sounds and Rock 'n' Roll! Featuring the Wildebeests (2 tracks - thanks to a re-quest in the chat-room), Baseball Furies , the Ranger Sound , Kid Congo and the Pink Monkey Birds , King Salami and the Cumberland 3 , the Victims , and 59 minutes worth of POUNDERS to scare Hell outta yer neighbors.